Retlif’s presence at the IEEE 2018 Long Island Power Electronics Symposium was greatly felt with Executive Vice President heading the charge and advising visitors of the Retlif approach to testing and compliance. 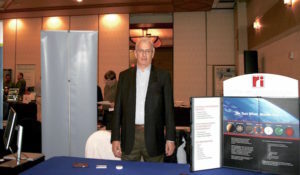 Held at the Radisson (Hauppauge, NY), the show attracted engineers, technicians, managers and marketing types from a broad swath of industries, from aerospace and avionics, to military and consumer, to industrial and medical. The Retlif booth and the show in general were busy from start to finish. The Long Island Power Electronics Symposium is getting more and more recognition, and Retlif’s has helped with financial, guidance and outreach support. See you same time next year!